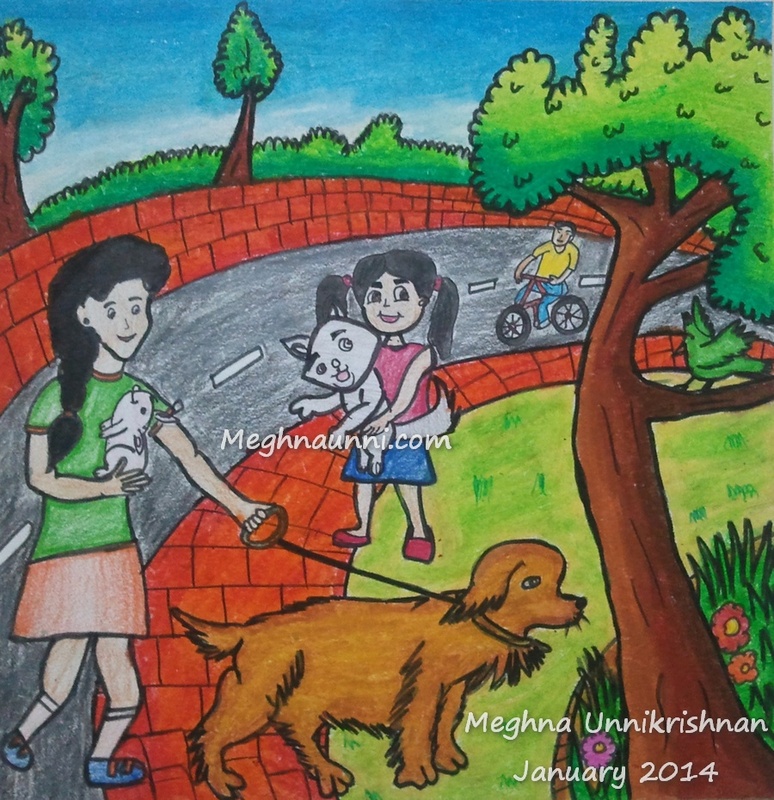 I selected first topic “Walking Your Pet” and drew this picture of a gril walking her pet dog holding her pet rabbit. She meets her friend on the way. Her friend also had her pet cat with her. Got selected among the 200 finalists and the Chennai finals were held in SBOA School & Jr. College, Anna Nagar on February 23rd, 2014. 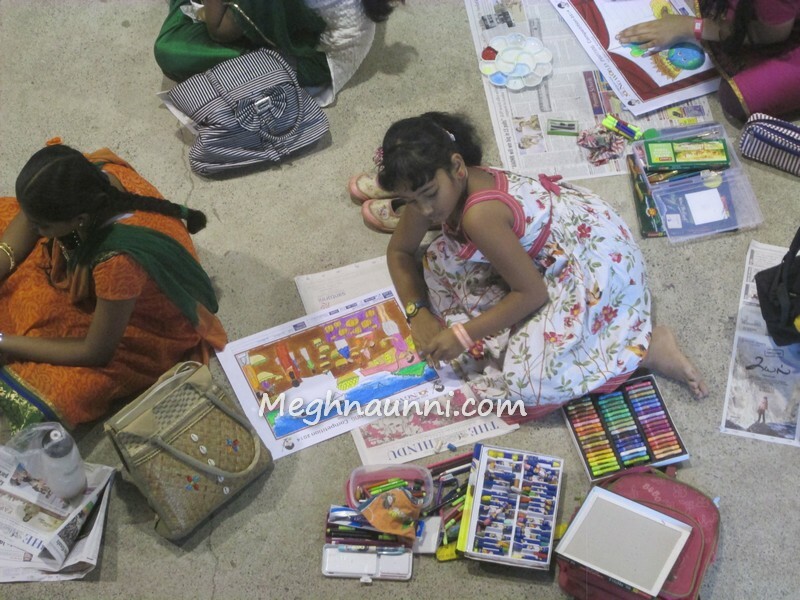 The finals of the Young World Painting Competition was an on the spot contest and the topics were given at the venue. 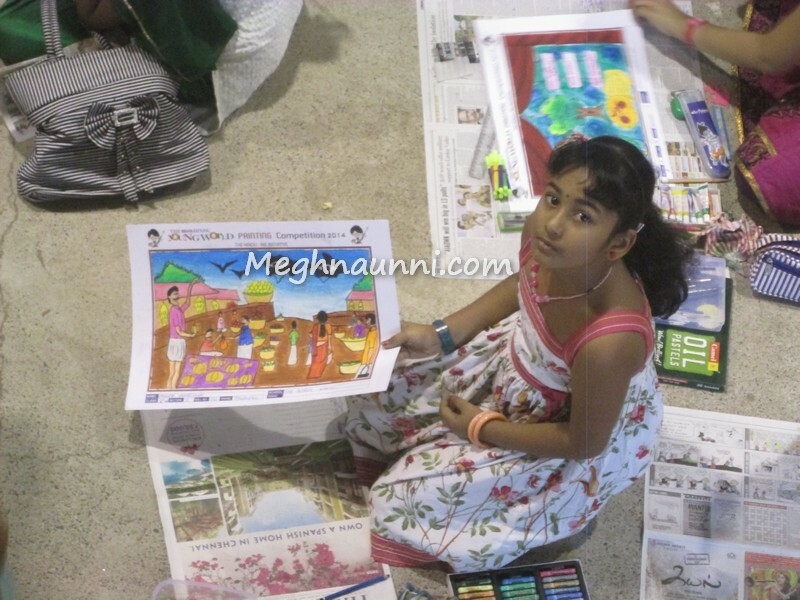 There were many topics like shopping with your family, vegetable fruits market, a fishing trip etc. I selected the topic Vegetables and Fruits market. Here I am with the finished picture. But couldn’t win the competition. Hope to try my luck next year.